London, 1664. Twenty years after the English revolution, the monarchy has been restored, and Charles II sits on the throne. The men who conspired to kill his father are either dead or disappeared. Baltasar “Balty” St. Michel is 24 and has no skills and no employment. He gets by on handouts from his brother-in-law Samuel Pepys, an officer in the king’s navy. Fed up with his needy relative, Pepys offers Balty a job in the New World. He is to track down two missing judges who were responsible for the execution of the last king, Charles I. When Balty’s ship arrives in Boston, he finds a strange country filled with fundamentalist Puritans, saintly Quakers, warring tribes of Indians, and rogues of every stripe. Helped by a man named Huncks, an agent of the Crown with a mysterious past, Balty travels colonial America in search of the missing judges. Meanwhile, on the other side of the Atlantic, Samuel Pepys prepares for a war with the Dutch that fears England has no chance of winning. 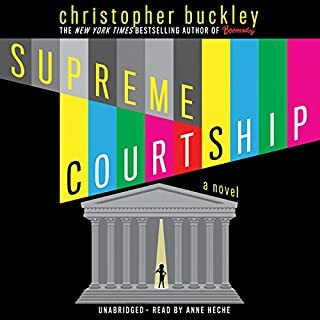 Christopher Buckley’s enchanting new novel spins adventure, comedy, political intrigue, and romance against a historical backdrop with real-life characters like Charles II, John Winthrop, and Peter Stuyvesant. 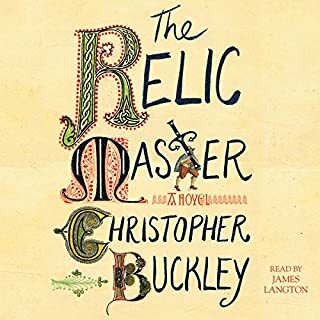 Buckley’s wit is as sharp as ever as he takes readers to 17th-century London and New England. We visit the bawdy court of Charles II, Boston under the strict Puritan rule, and New Amsterdam back when Manhattan was a half-wild outpost on the edge of an unmapped continent. 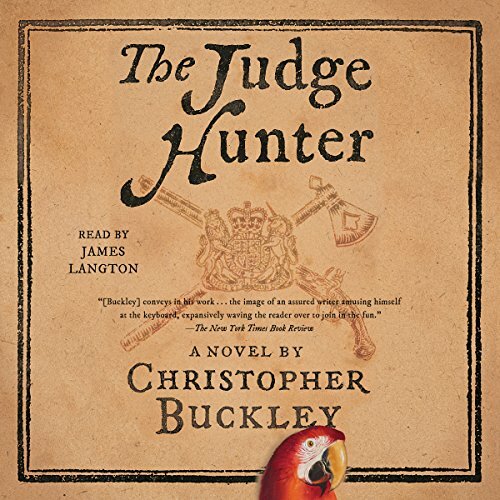 The Judge Hunter is a smart and swiftly plotted novel that transports readers to a new world. I had no idea this book would be so funny and engaging. I couldn’t stop listening. What a good book. I highly recommend it. 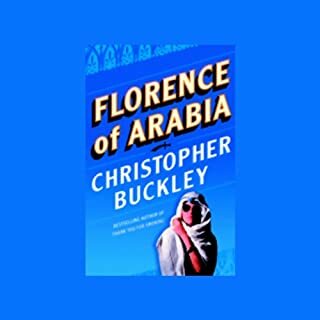 One of Christopher Buckley's best books yet! Great historical novel! 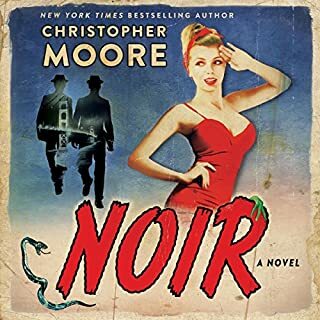 Funny and intelligent story and dialogue. James Langton's performance was amazing! So many different characters and accents and he makes you feel like a different actor played each one. 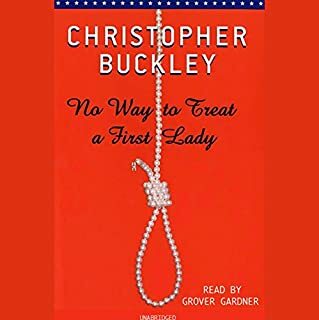 Hope Mr. Buckley continues Baldy's story in another book! 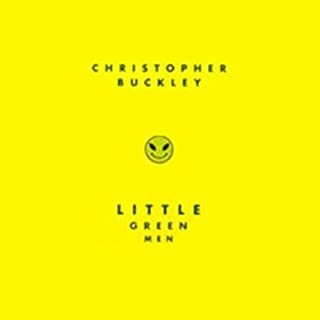 As always Buckley is entertaining and the audio book was fun to listen to. I might even listen again! I'll be talking like a pirate for a week.